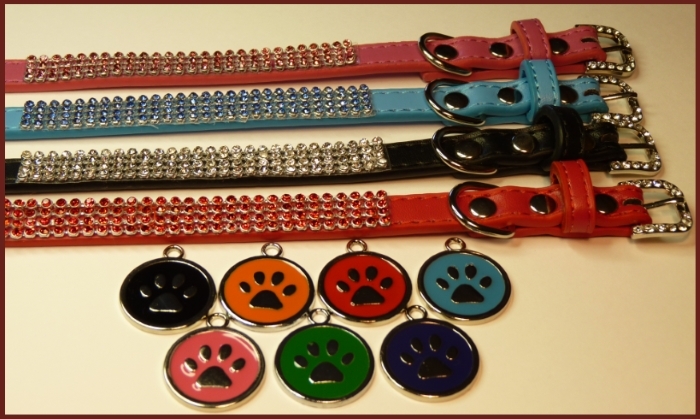 Brighten your pets day with a new sparkly collar and engraved ID Tag combination.The collar and buckle are set with matching stones. Your pet will not only look good but the engraved ID tag aids their safe return to you if lost. The collar comes in 2 sizes, check chart below. The tag will be engraved with one name and one phone number. Tags available in four different colours. Collars available in Blue, Black, Red and Pink.